After five years of fighting for a free Poland, these veterans chose exile, since their return to their homeland would inevitably end in persecution and even death. This decision was especially painful for those who came from these eastern parts of Poland annexed by the Soviets. For them, emigration was the only option and many opted for Argentina, Australia, Canada, England or the United States. Here in Canada, life for the new immigrants was challenging. Most of them were young and unprepared for civilian life. Some were career officers in the Polish Cavalry, which in pre-war Poland was regarded as the elite of Polish society. Now, in order to survive, those former officers had to adapt to the new environment and learn new skills. On their own, without any government support, they took any job that was available. For example, a former colonel became an elevator operator while his wife ran a boarding house and worked part-time cleaning fish at a local seafood market. Some veterans found employment in the thriving automotive industry; others, less fortunate, took jobs as seasonal workers at harvest time on local farms. Gradually, with hard work, perseverance and ingenuity these people became successful and even prospered. They adapted to their new life, accepted Canada as their new homeland and at the same time, deep in their hearts, remained patriotic and faithful to their heritage. In the first few years of the Club’s existence, its membership grew rapidly. Many former army colleagues now living in the Windsor-Detroit area joined the Club with their spouses. They were motivated by a desire to continue to be of service to their homeland and the Club offered such an opportunity. 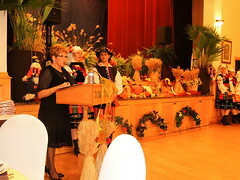 The main objective of the organization was the preservation and propagation of Polish heritage, tradition and language within local Polonia and Canadian and American societies. 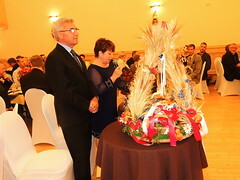 In those days, under the dynamic leadership of Mr. Zbigniew Giera, the Club organized many cultural events such as frequent public lectures, celebrations of national holidays, concerts, literary soirees, exhibitions and social teas. Among the distinguished personalities invited to those events were: Gen Stanislaw Maczek, Gen. Kazimierz Sosnkowski, writer Melchior Wa?kowicz and famous pianist Witold Ma?cu?y?ski. Thanks to these appealing events, the Club flourished with vigour and energy. Its members had organized 56 events within the first five years of its existence! 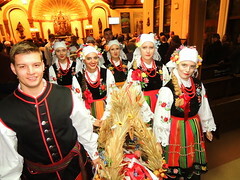 For a number of years, CBC Radio aired a weekly program called “Traditional Echoes” promoting among others, Poland and its culture. The members of the Club actively assisted in preparing the broadcasts by selecting Polish songs and poems and translating them into English. balcony and the stage of the Dom Polski Hall. 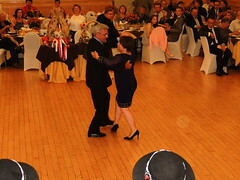 Each ball began with a polonaise, followed by the mazur dance. A first class orchestra, formal attire, elegant ball gowns and delicious home-made food completed the picture. The standards were so high that on one occasion, a gentleman was refused entry for arriving in a light-coloured business suit. Once, in 1955, the Club staged a fox hunt in Ojibway Park near Windsor. It was an enactment of ancient hunts held on vast country estates in Poland on St. Hubert’s Day, to honour the patron saint of hunters. All of these large-scale activities generated considerable profits. The Club used these funds to support the Polish Government in Exile, as well as a large number of charities and worthy causes. These included mainly Polish institutions such as museums and libraries located in Poland, England, France, and Switzerland, as well as the local University of Windsor library and Polish Language School. The Club also supported Foundation for Polish war invalids, orphans, and sick children. From its founding, the Polish Social Club joined the Polish-Canadian Congress (CPC), an association uniting all Polish organizations in Canada. Under the auspices of the Windsor CPC Branch, the Club was actively engaged in the creation of a Copernicus astrolabe and sun-dial erected in Windsor’s Jackson Park. This park attraction was a gift from the Polish community to the city of Windsor on its 100th anniversary in 1958. As part of this event, the Club also created an attractive booth exhibiting Polish arts and crafts, drawing a large group of visitors. In the 1980’s, a new wave of Polish immigrants arrived in Canada. These people were former members of Solidarity which had been disbanded by the communist government. After imposing martial law in December 1981 and imprisoning activists of the Union, the government presented them with an ultimatum to either leave their motherland or face prosecution. Many decided to emigrate because of concerns over their future and the wellbeing of their children, in the hopes that once in Canada, they could continue their struggle for a free Poland. At the same time, many other Polish citizens began to realize that without the Solidarity Union, they could not expect a bright future for their children and they too decided to emigrate. They left Poland with their families, stopping in refugee camps established in several European countries. Those who came to Windsor were sponsored by Fr. Peter Sanczenko, the parish priest of Holy Trinity Polish Roman-Catholic Church. 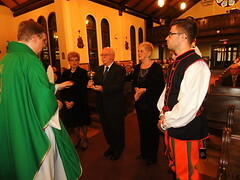 He helped them get settled, find jobs and accommodation, and assisted in their orientation to the Polish community. In time, some of these newcomers found the goals of the Club appealing and joined the organization. With renewed energy, the Club’s activities shifted focus onto the needs of these newcomers. 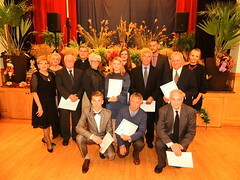 The club organized meetings that were open to the public and invited interesting personalities, such as Polish WWII veterans (Jan Garlicki, Ryszard Orszt) , university professors (Zbigniew Falenbuchl, Mieczyslaw Czajkowski, Wincenty Chripinski) as well as individuals from outside the club (Robert Nowak – historian, Rev. Zbigniew Peszkowski – survivor of the Katy? Forest massacre). The Club also organized presentations of contemporary Polish films which were not available in Poland. Among them were fascinating recollections of Polish couriers or clandestine emissaries who at great peril, carried important messages between the Polish Government in Exile in London and Warsaw, where the Polish Underground State had been effectively functioning in occupied Poland. One of the emissaries, Jan Karski, even travelled to the United States on a mission to warn President F.D. Roosevelt of the impending holocaust in Europe. However, neither the President nor his associates, or even American Jews believed the tragic stories coming from Poland. The Club had been a member of the CPC continually since 1951 and for several years, some of its members were elected as presidents of the local branch. Unfortunately, due to a lack of interest, the Branch ceased operation in the 1960’s. For many years after that one of the Club’s goals became reviving the CPC Windsor Branch. It finally happened in June 2002, when Halina Rogacka – the chairman of the CPC came to Windsor and signed a document reinstating the Windsor Branch. The document set the groundwork for close links between the CPC headquarters and local organizations. 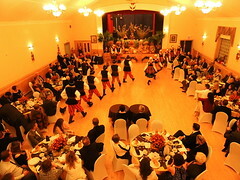 It also led to future initiatives, including the introduction of Polish Week in Windsor. The goals and activities of the Club changed over the years. It evolved from being a prominent local force in the 50’s and 60’s, into a gradually less dynamic, but still active organization. Now, the Club concentrates on holding social events mostly for its members and friends. This includes celebrations at Christmas and Easter, pool parties, annual summer picnics at members’ cottages on lakes Erie and Huron, a mid-summer festival (Sobótki) and Halloween. 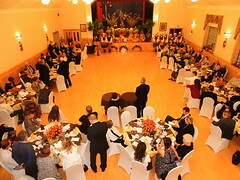 Recently, pig-roast parties have drawn crowds of over 100 guests. The Club continues to make annual donations to support the Polish language school in Windsor and the Institute for the Blind in Laski, Poland. Our new goal is to strengthen the CPC Windsor Branch by encouraging more Polish organizations to join, thus strengthening the Polish Canadian Congress in Canada. 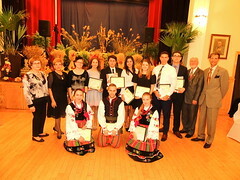 The members of the Polish Social Club in Windsor, just as Polonia in Canada in general, have always combined loyalty and commitment to their adopted homeland and, at the same time, respect for their Polish heritage.